At Easy Touch, we have worked with hundreds of businesses throughout Colorado to help craft unique spaces and reliable, durable surfaces of all kinds. From flooring to wall tile and everything in between, our experienced team has the expertise you need to make a stellar space for you and your employees. We offer unmatched pricing and quality tile repairs and installation no matter the size of your business, with a reputation that backs up the quality we promise. Learn more about our commercial tiling services and why businesses all over Colorado choose Easy Touch as their tiling partner. Don’t see your job on the list above? Get in touch with our team and inquire about your specific tile needs. We have worked on thousands of businesses and have extensive experience in all types of commercial tile installations and repairs. Why Make Us Your Commercial Tile Partner? We understand that your business is one of the most important investments you will ever make — and it’s appearance affect the lives of your employees too. It is critical that you provide them with a safe, clean, and reliable space that makes them feel proud to come to work. 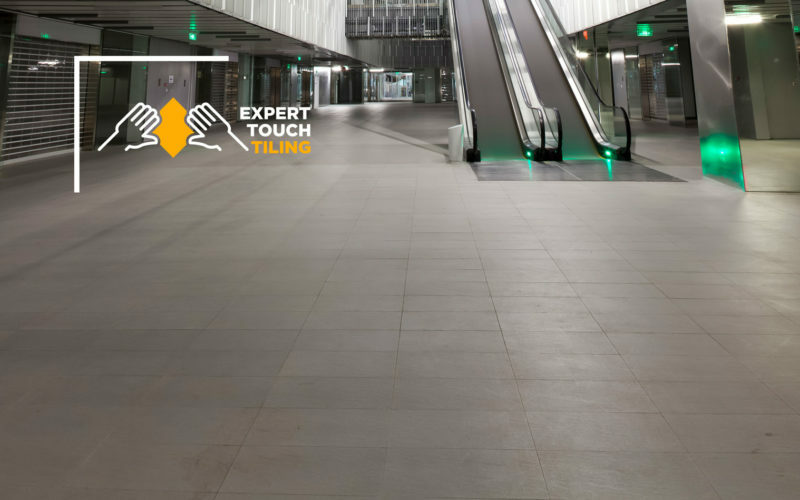 That is why at Expert Touch, we take commercial tile installation incredibly seriously and seek to be your partner; not your contractor. We love creating long-term relationships with businesses and corporations throughout Colorado and have been helping business managers like you craft incredible spaces for years. No matter your job, you can count on our expert team. Ready to take the next step toward unmatched commercial tile installation? Get in touch with our experienced team today to see how we can turn your business’s floors, walls, backsplashes and kitchens into artwork for a low, reasonable price.